For years, Bonn, Dioguardi & Ray, LLP has been providing quality, personalized financial guidance to local individuals and businesses. Bonn, Dioguardi & Ray, LLP's expertise ranges from basic tax management and accounting services to more in-depth services such as audits, financial statements, and financial planning. Our mission is to help clients maintain financial viability in the present while taking a proactive approach to achieve future goals. This requires open communication to reach an understanding of our clients' needs, thorough research, and sound analysis. Bonn, Dioguardi & Ray, LLP is dedicated to meeting these goals with high standards of excellence and professionalism. Ken graduated from Rochester Institute of Technology in 1970. Immediately after graduation, Ken joined the local accounting firm of Brophy and Fain, where he became a partner in 1974. In 1991 Ken started his own firm under the name of Kenneth Bonn, Jr CPA. Ken has provided a wide variety of taxation, accounting and management advisory services to closely held businesses across the country. Ken specializes in Estate Planning, Real Estate Taxation and Sports Management. Ken is a member of the Tax Division of the American Institute of Certified Public Accountants. Ken has served on the Board of Directors of Cystic Fibrosis and has been President and Treasurer of the 65 Roses Sports Club and Chairman of the John Bednarski Celebrity Invitational Golf Tournament. Ken is also on the Board of Directors of the Rochester Americans Hockey Club and the Rochester Knighthawks Lacrosse Team. Michael S. Ray CPA/ABV is a 1973 graduate of Rochester Institute of Technology and joined Cortland L. Brovitz & Co. upon graduation and became partner in 1978. 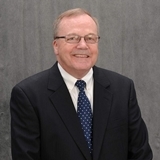 In 1985 he formed his own firm, Michael S. Ray CPA & Associates and merged with Bonn, Shortsleeve & Gray, LLP in 2004. In addition to his professional licensure as a Certified Public Accountant, Michael also holds the designation of Accredited Business Valuator, since 1978, the first with such accreditation in Rochester. In addition to his partnership with Bonn, Dioguardi & Ray, he is the sole principal of Michael S. Ray CPA/ABV, P.C., specializing in business valuation and litigation support. Joe graduated from Rochester Institute of Technology in 1990 and joined the firm of Brophy, Dailey and Bonn. In 1991 he left to join the firm of Kenneth Bonn Jr. CPA. Joe became a partner of the firm in January 2000. Joe provides a wide variety of tax, audit, valuation and accounting services to closely held companies. Joe currently represents clients in manufacturing, real estate, construction, retail and the service industries. Joe is on the board of the RIT Athletic Association and the Penfield Perinton Kiwanis. Mike graduated from St. John Fisher College in 1969. Immediately after graduation, Mike joined the international accounting firm of Peat, Marwick, Mitchell & Co. (now KPMG), where he became a manager. In 1976, Mike started his own firm. Mike has provided a wide variety of taxation, accounting and management advisory services to closely held businesses, specializing in audits and taxation of homeowner associations. Mike has served on the Board of Directors of the St. Pius X Federal Credit Union and Brook-Lea Country Club, where he currently serves as the Treasurer. Harry graduated from the University of Vermont in 1967 and received a Master's degree from SUNY at Buffalo. He also completed several specialized graduate tax courses at the University of Arizona. He began his career with Arthur Andersen & Co. in 1974 and has been practicing as Harry I. Sealfon, CPA, PC since 1985. For over 40 years, Harry has been providing quality personalized tax and financial guidance to local individuals and businesses. His expertise includes tax preparation, planning and consulting; and business consulting. He is involved in extensive volunteer work. Linda joined the firm in January 1999 after graduating from St. John Fisher College. Linda represents clients in a variety of industries including gas retailers, construction, manufacturing and air emergency services. Linda is a member of the American Institute of Certified Public Accountants and a member and former treasurer of the Rochester Chapter of the New York State Society of Certified Public Accountants. Michelle joined the firm in 2001 after graduating from SUNY-Brockport. As a senior accountant Michelle is responsible for business and individual tax preparation as well as accounting and attest services. Michelle is a member of the American Institute of Certified Public Accountants and a member and former treasurer of the Rochester Chapter of the New York State Society of Certified Public Accountants. Chris joined the firm in 2014 after graduating from Rochester Institute of Technology. He is currently working towards his CPA certification. Chris’s responsibilities include individual and business tax preparation, tax planning, and accounting services. 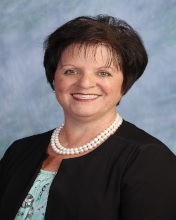 Debbie joined the firm in January 2015 after working 16 years for William S. Bailey, CPA/PFS, CFP. Debbie’s responsibilities include accounting, as well as individual and corporate tax preparation. Debbie graduated from State University of New York College at Oswego in 1979 with a degree in Mathematics. Nancy joined the firm in January 2015 after working 30 years for William S. Bailey, CPA/PFS, CFP. Nancy’s responsibilities include personally working with business clients on their day to day bookkeeping, accounting and related record keeping needs as well as individual, corporate, partnership, fiduciary and Employee Benefit Plan accounting and tax preparation. Jaylene joined the firm in 2012 after graduating from the University of Phoenix where she is currently working towards her Masters in Accounting and CPA certification. Jaylenes responsibilities include managing the firms financial and human resource affairs as well as bookkeeping services for clients. Heidi joined the firm in 2010. She brings her experience of corporate office management for a cardiovascular company in Charlotte, NC of 12 years. Heidi's responsibilities include supporting the Audit Department with formatting financial statements and correspondences, process 1099s, E-Filing of tax returns, and support Partners and staff with administrative needs.